is a given at Valley Truck Leasing. Our problem-solving culture makes all the difference. 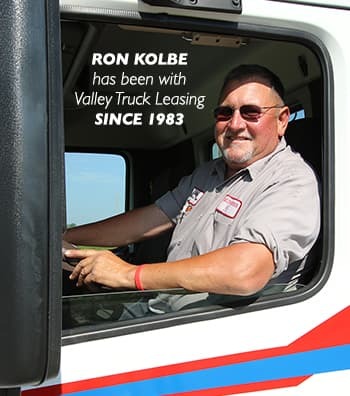 There’s a unique mindset at Valley Truck Leasing. You’ll notice it right away. Our people have authorization to make decisions quickly. They’re empowered to move now on the right solution so, without delay, you get the equipment you need, from a semi trailer rental to truck leasing. This take-action attitude applies to how billing is handled, too. Want to pay with a credit card? OK. Prefer ACH withdrawals? No problem. Paper bills? Yep. We’re flexible, which is the core of our culture, including how we operate our truck repair shops. Our maintenance and repair shops. The definition of full-service. Yes, it’s important for us to keep our fleet ready to roll. However, the shops also provide truck repair solutions for anyone needing quality semi truck repair work and semi trailer repairs. Our ASE- and factory-certified techs have experience on all makes and models. Compare our labor rates to dealers, and see the cost savings of coming to our shops.